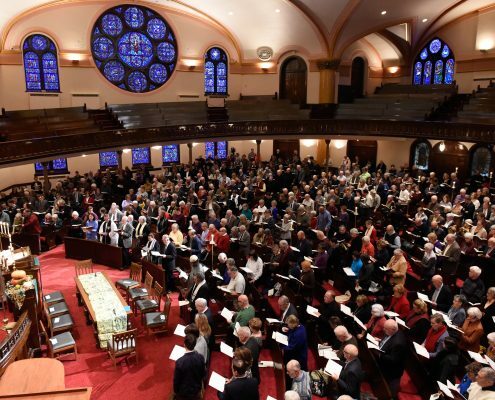 Vocation or calling was the overall theme of the inspiring January 26th worship service at Minneapolis’ Westminster Presbyterian Church. Earlier posts have discussed two focal points of the first part of the service—Preparing for the Word. They were the Prayer of Confession and the Anthem based on “God Be in My Head” from the Sarum Primer of 1514. The second and central part of the service was “Listening for the Word” with the reading of three passages of Scripture: Acts 9: 36-43; Acts 16: 9-15 and Romans 12: 1-8 and commentary on them in the Sermon “God Is in This Place” by Rev. Meghan K. Gage-Finn. The clear message in this familiar passage is everyone has different gifts and, therefore, different vocations. The Bulletin for the January 26th service is available online along with the text and an audio recording of the sermon and a video recording of the service. Another blog post discussed Westminster’s order of worship while clicking on “Westminster Presbyterian Church” in the Tag Cloud at the top right of the blog will give you all of the posts about the church in reverse chronological order of posting. The story’s inclusion of Peter illustrates his vocation. Peter went with the two men, “not knowing what was needed of him. [His vocation was being] . . . available to the ways God would use him, the ways a community might need him. Peter was simply open to the ways God would work through him to serve others.” Paul’s going to Macedonia can also be seen as fulfilling the same vocation of responding to requests for his presence to advance Jesus’ mission. Note that the three of the four people in these passages had different gifts and used them in different ways. They all had the same mission, but different ways or vocations of fulfilling that mission. The Bulletin for the January 26th service is available online along with the text and audio recording of the sermon and a video recording of the service. 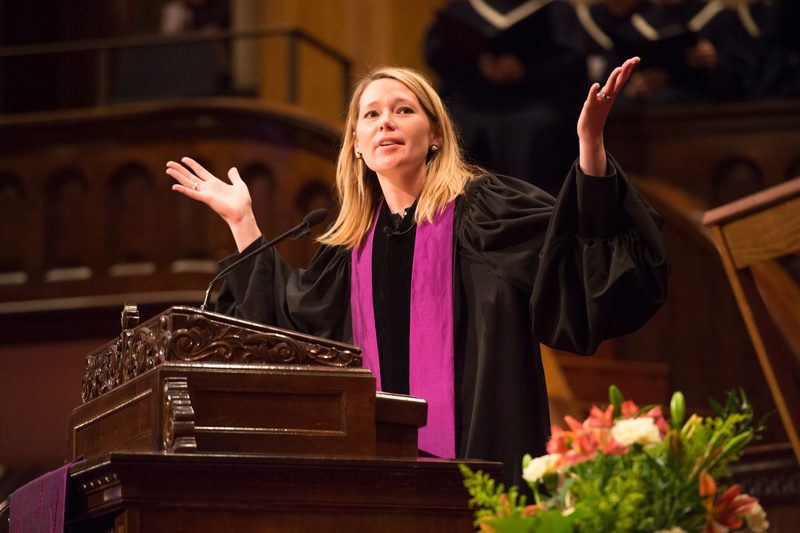 Another blog post has discussed Westminster’s order of worship while clicking on “Westminster Presbyterian Church” in the Tag Cloud at the top right of the blog will give you all of the posts about the church in reverse chronological order of posting.